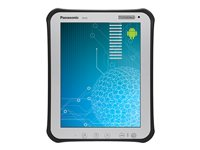 First fully-rugged Android™ tablet designed for professionals. 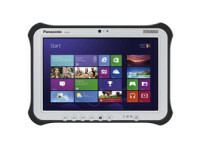 Introducing the Panasonic Toughpad™ FZ-A1, the fearless business tablet that goes where no tablet has ever gone before. 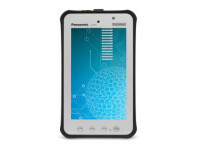 Combining data and device security, seamless connectivity, enterprise-minded technology, and a long legacy of rugged and reliable computing, the new Toughpad FZ-A1 is the perfect melding of mind and muscle. The tablet features a MIL-STD-810G and IP65 certified design for the flexibility to work freely in nearly any environment. 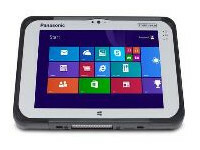 Engineered to perform in any environment, the FZ-A1 remains the unscathed, undefeated champion of rugged tablets with the unmatched reliability and low maintenance that makes it the industry’s flagship rugged mobile computer.